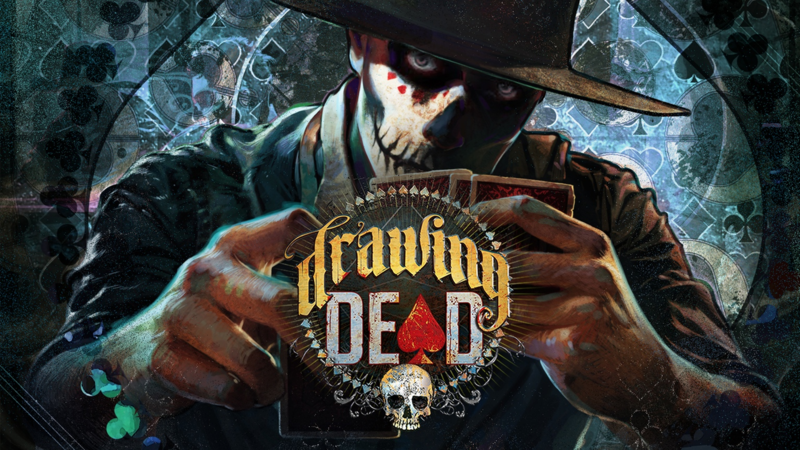 Drawing Dead is a card game where you assume the role of a saloon patron from the Wild West in order to lie, cheat, and steal your way through a game of stud for the highest stakes imaginable: your soul. The characters in this world are doomed to walk the land of both the living and the dead, hoping to win this game in order to buy themselves a restful sleep - six feet under. In order to win the hand, you will have to draft one of the many roles available to the players and use the character's special powers to improve your own hand and stop your opponents'. The game is familiar enough for those who know only the basics of poker, but robust enough to keep even the most avid gamer invested from start to finish.